A game about a fish trying to get home to the coast. Play as a fish trying to get home to the coast, by rolling down the streets in a fish bowl. Watch out for road works and try to get to the end as fast as possible. Use WASD to move the fish and SPACE to jump. Made in 2 days as part of Global Game Jam 2019, at the Guildford Library. & Lorraine Ansell @LAvoiceart as the fish. 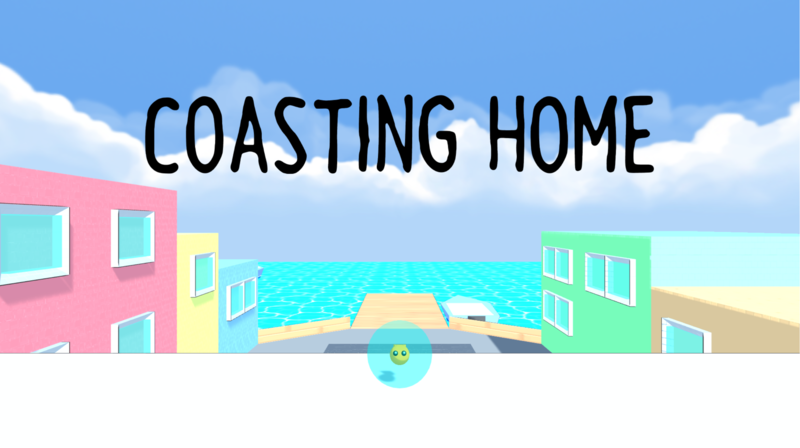 Unzip the file and select the executable "CoastingHome" to run. Make sure to the keep the data folder in the same location as the executable file.